iDesign Creative Services takes pride in being a one stop shop for all your printing needs. We have a long list of available services, and it's not unusual for us to handle the needs of a wide variety of customers. We have established long relationships with a lot of clients, and they just give us a call for all their printing needs. iDesign Creative Services is a printing company that provides a wide variety of services for just about all printing needs. The company is an online-based one, so just about anyone can take advantage of our services especially since we offer local pick-up on several locations and we offer delivery as well. 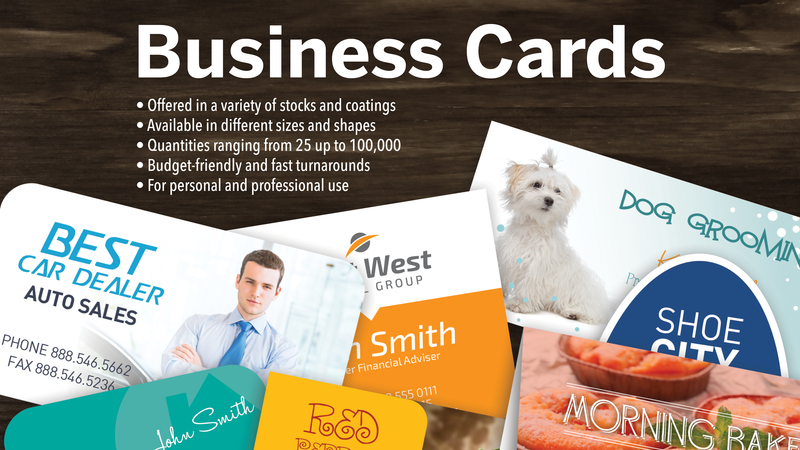 In addition to our popular services, we also accept orders for magnets, notepads, placemats, door hangers, presentation folders, and a lot of other printing jobs. iDesign Creative Services takes pride in having the right skills and equipment to turn your ideas into reality. No idea is too big or too small. We'll turn them into reality. We can use any type of printing paper and print any material using any type of ink. If you have an idea for the finishing option, we can also make it happen. We accept custom work. In fact, a huge percentage of our clients order custom work. They have a good idea in mind, and they just need a good company to turn that idea into reality. iDesign Creative Services is that company. You don't have to be included in the list to take advantage of the services of iDesign Creative Services. As long as you need something printed, you can go ahead and contact us. iDesign Creative Services isn't just printing. By assembling a team of highly skilled and creative designers, we are able to offer a complete marketing package for you or your business. iDesign is the best! I have used them twice now for 2 different screen printing orders / designs. Steve is the best and has created awesome designs for both of my orders. They are also very affordable and I've received my orders quick! Definitely would recommend and I can't wait to work with iDesign again!